XAT Admit Card 2018: The officials of the XLRI Jamshedpur will release the XAT Admit Card 2018 very shortly at their official website. Contenders who have completed the application process, they only eligible to download the Xavier Aptitude Test Admit Card 2018. For downloading the admit card aspirants need the registration details like application number or user id and date of birth or password etc. Further information about the XAT Admit Card 2018 is mentioned in this article. The XLRI Jamshedpur will conduct the Xavier Aptitude Test for the MBA Admission. The XAT Admit Card 2018 will be available soon to download. XLRI conducts XAT in favor of the XAMI. For more than 60 years XLRI is conducting XAT at all India level to select the relevant students for management education. The XAT score is being used by more than 150 institutes for the admission. For more details about the Xavier Aptitude Test visit the organization website www.xlri.ac.in. The admit card details has given in the below table format like dates of the examination, the release date of admit card, organization website, category, result date of the exam. Contenders can also download the XAT Admit Card 2018 from below specified direct download link or else from the organization website of XLRI. The XLRI Jamshedpur organization will officially upload the admit card on their website. After downloading the XAT Admit Card 2018, aspirants need to check the information on it. If there are any mistakes in the admit card then immediately inform the management and rectify the mistakes in it otherwise you will pay in the examination center. Aspirants must attend the examination center before 20 minutes to the exam to avoid the last minutes rush. Read the instructions for the admit card or call letter before starting the exam. Contenders must attend the examination center within in time otherwise the management will not allow entering into the examination hall. After the examination process, the results will update soon through this article. The aspirants can also see their examination result in Sarkari Result. The additional information about the Xavier Aptitude Test like the importance of admit card, details in admit card, essential documents for the exam, steps to download the admit card are given below. XAT Admit Card 2018 is the essential document for any examination process like the board or competitive. The management will not allow the aspirants to write the exam without admit card or hall ticket. The admit card has the details about the contender and the exam like the name of the applicant, registration number, gender, category, date of birth, date of the exam, time of the exam, venue of the exam, the signature of the applicant. By using the Xavier Aptitude Test Hall Ticket 2018, the organization can easily find out the fake candidates in the examination center. Contenders must carry the documental proof like College id, voter id, etc. issued by the state government or central government including with the admit card or call letter for the security purposes at the examination theater. Contenders can also check the various examination admit cards on our website. The management of the XLRI Jamshedpur didn’t declare any date related to the XAT Admit Card 2018, and if any update is there, then we will update on this page. So contenders keep in touch without website Sarkari Recruitment to know more details about the Xavier Aptitude Test Hall Ticket 2018. Xavier Aptitude Test 2018 will be conducted across India in the following cities in Agartala, Ahmedabad, Allahabad, Amritsar, Bengaluru, Berhampur, Bhopal, Bhubaneswar, Chandigarh, Chennai, Cochin, Coimbatore, Cuttack, Dehradun, Delhi, Goa, Greater Noida, Gurgaon, Guwahati, Hyderabad, Indore, Jabalpur, Jaipur, Jammu, Jamshedpur, Kanpur, Kolkata, Lucknow, Mangalore, Mumbai, Nagpur, Nasik, Noida, Patna, Pune, Raipur, Ranchi, Rourkela, Sambalpur, Surat, Tiruchirapalli, Trivandrum, Udaipur, Vadodara, Varanasi, Vijayawada, Visakhapatnam. The two International Cities in Dubai and Kathmandu. The admit card or hall ticket carries the information about the participant and exam. The management will not permit to write the exam without the admit card. So aspirants must need to carry the hall ticket to the examination center. The below documents need to carry to the examination center for the security purpose along with the admit card or hall ticket. We have provided the steps to download the XAT Admit Card 2018 for candidates in a simple process. By following the below steps, aspirants can easily download the hall ticket. Open the official website of Xavier School of Management, i.e., www.xlri.ac.in. Search for the XAT Admit Card 2018 for the entrance exam. Click on the Xavier Aptitude Test 2018 download link. XAT Admit Card will be shown on the screen. 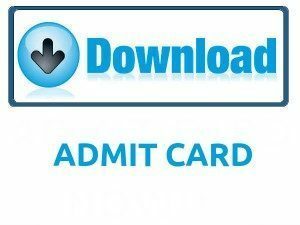 Download the XAT Admit Card 2018. Verify the details in Xavier Aptitude Test Hall Ticket 2018. SubmitXavier Aptitude Test Hall Ticket 2018 at the examination center with any identity. In the above article, we mentioned the information about the XAT Admit Card 2018 for the entrance exam hope it will use for the applied candidates. If aspirants have any queries on this article can also leave a comment on below comment box for further clarifications regarding this page. For more updates like Recruitment, Previous Papers, Syllabus, etc. visit our website Sarkarirecruitment.com.Thank you.